MIMC provides specialist financial, commercial and project management support and utilizes its specialist expertise and skilled resources to support the entire project development process. 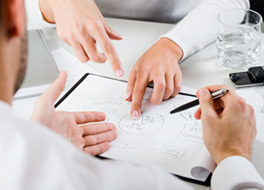 Our team will provide advice on project finance solutions, project development and implementation support. Our team possesses a variety of skills to develop high quality businesses and projects. We lead our clients each step of the way from concept through feasibility studies, finance structuring, funding and construction to operation. Since the early stage of the process, our approach is to work alongside the promoter and the technical consultant to evaluate the project commercially from the viewpoint of a potential investor or financier. At MIMC we know this is a very complex process and we are here to assist and supply specialist support to all project stakeholders. MIMC involvement in project financing makes the difference between just a project and a financially viable project.